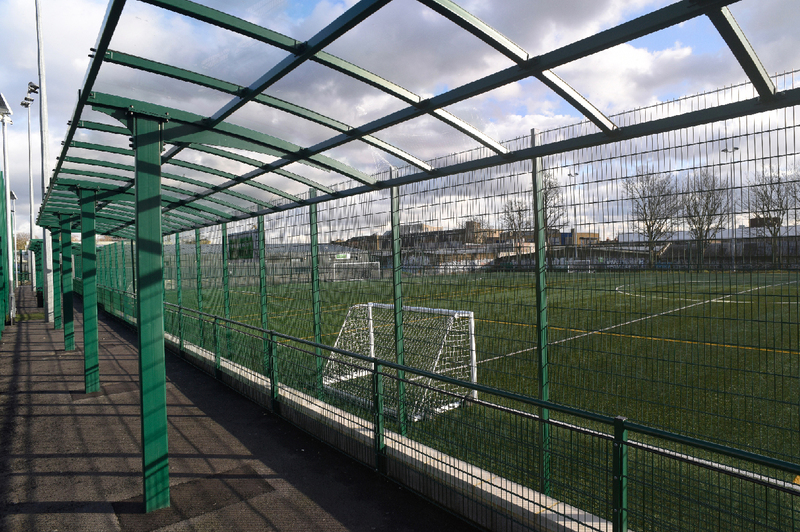 GLL (Greenwich Leisure Limited) is a not for profit charitable social enterprise committed to delivering a better quality of fitness and leisure, libraries and performing arts facilities for everyone. 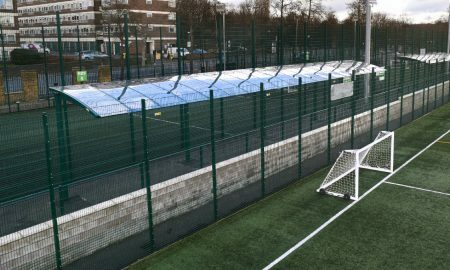 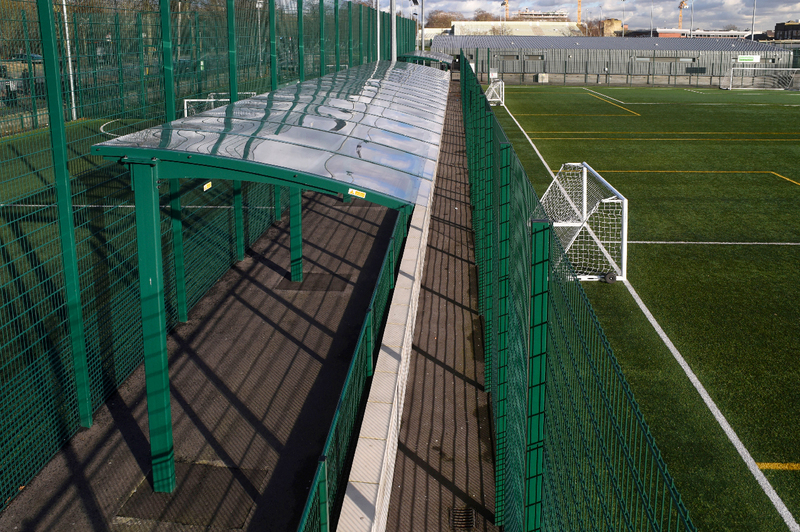 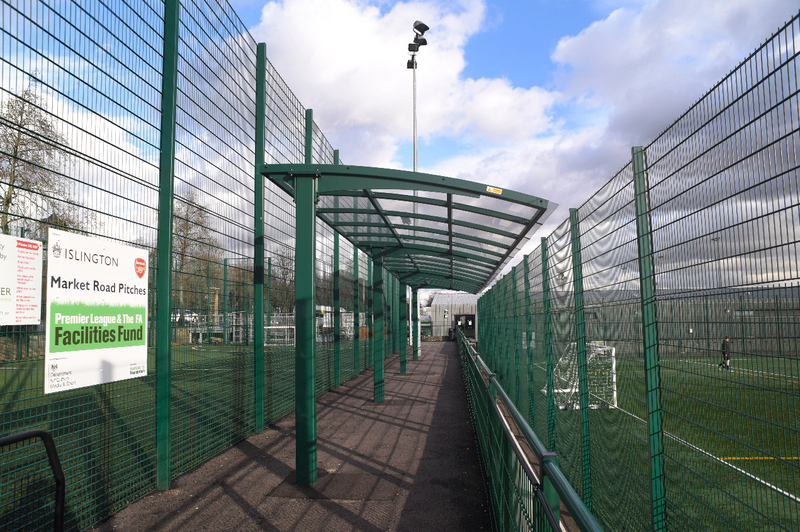 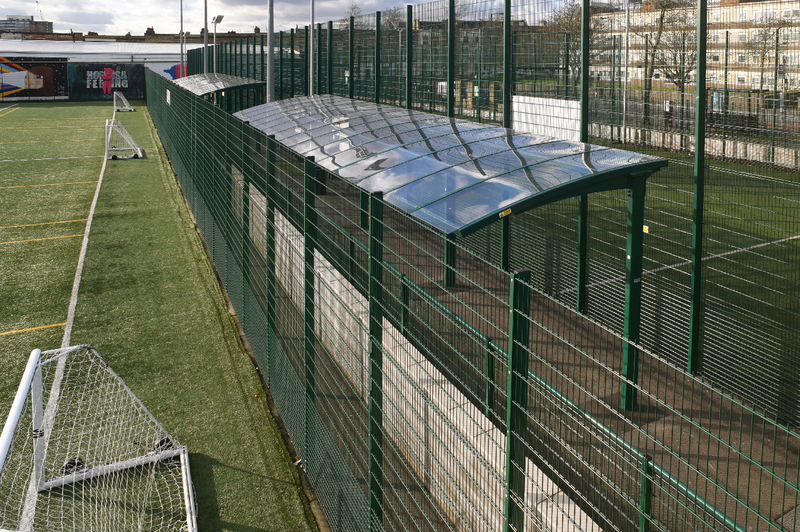 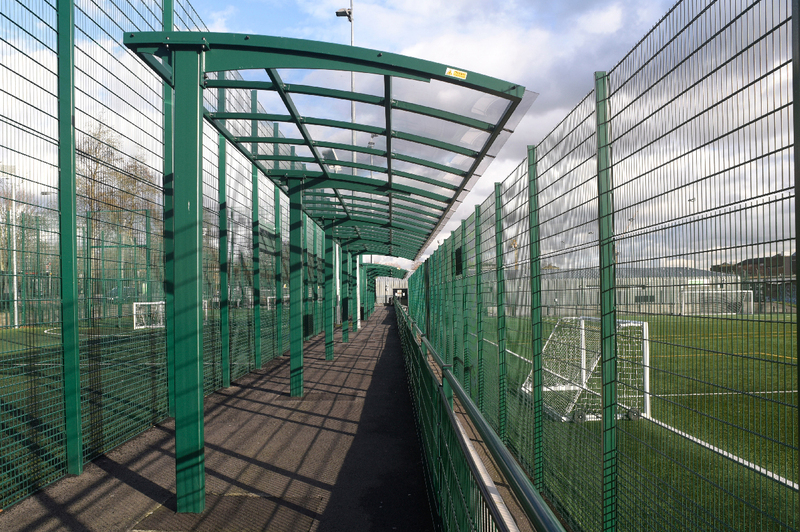 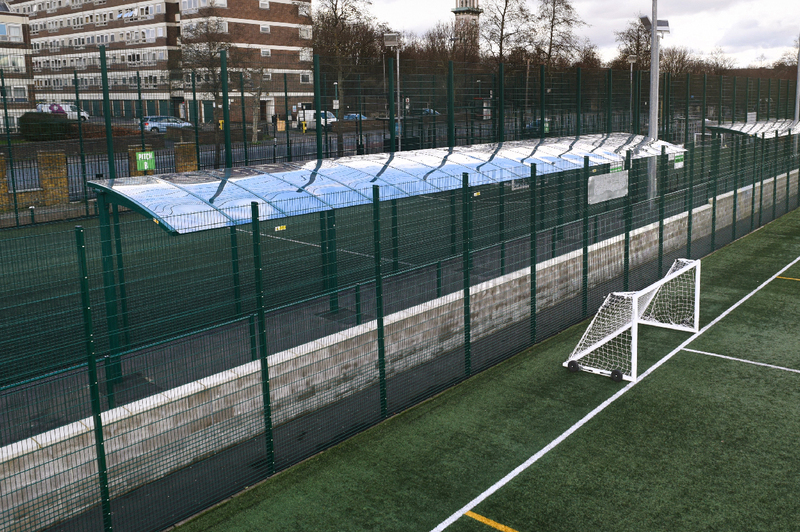 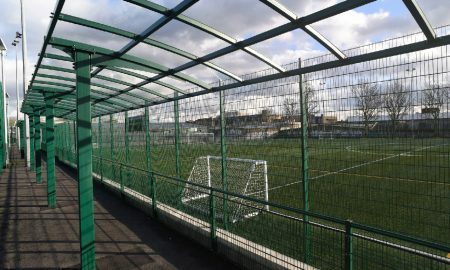 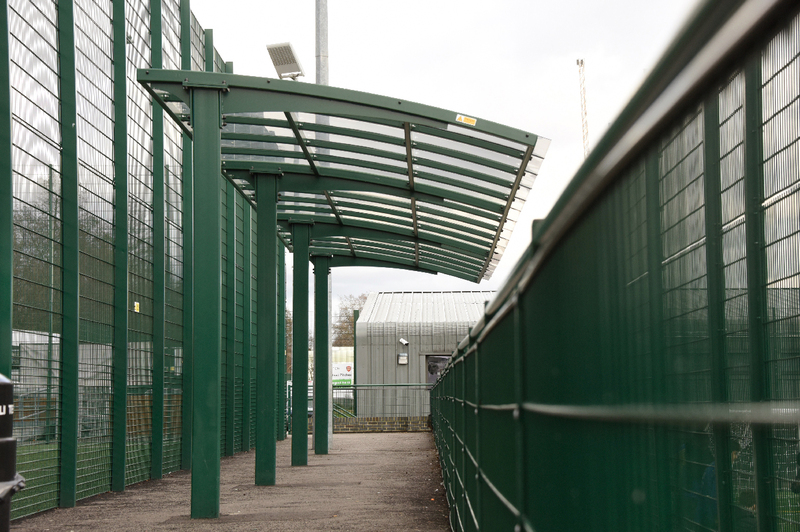 They asked Broxap to provide a series of spectator shelters at the Market Road Football Pitch Complex. 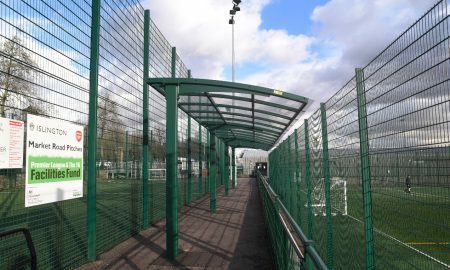 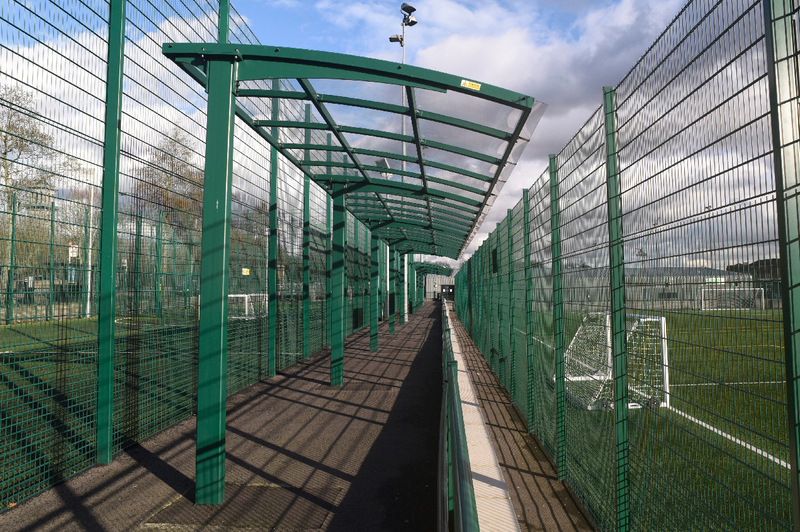 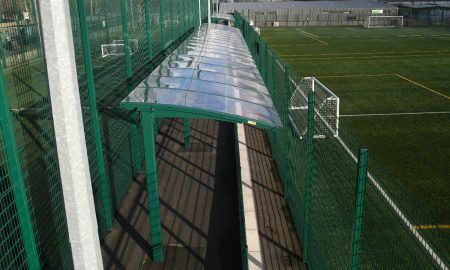 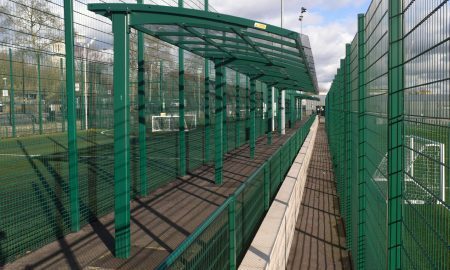 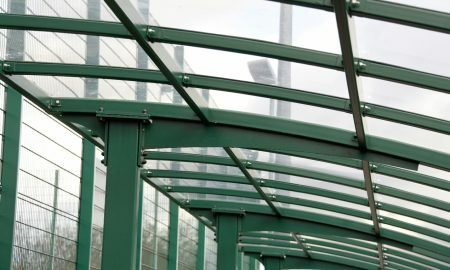 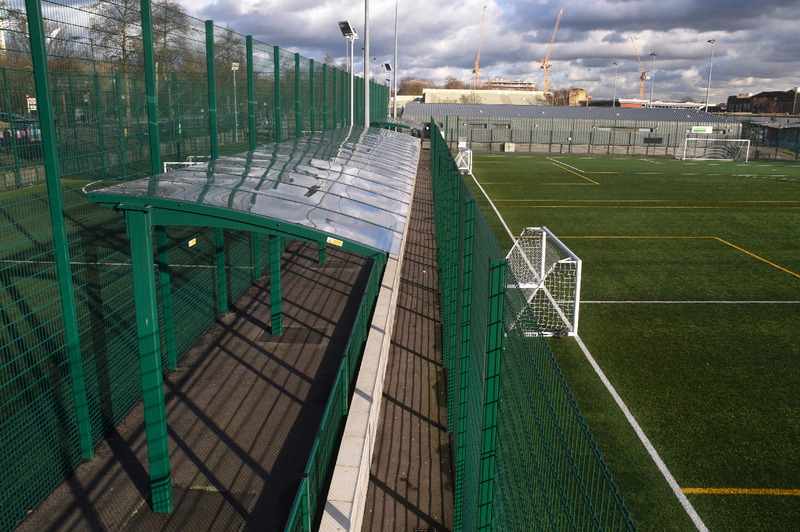 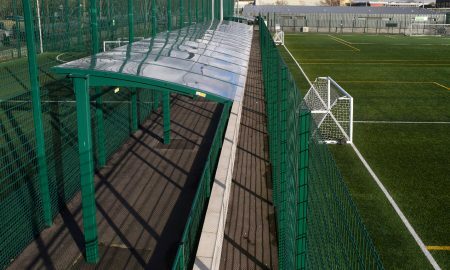 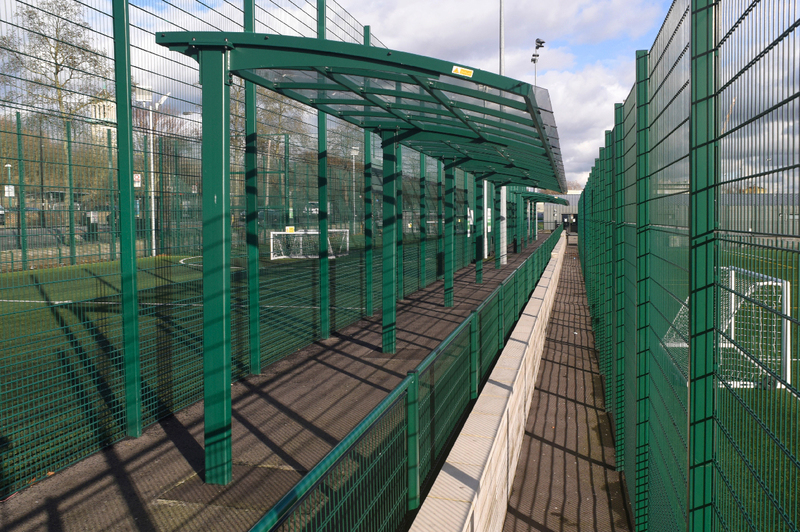 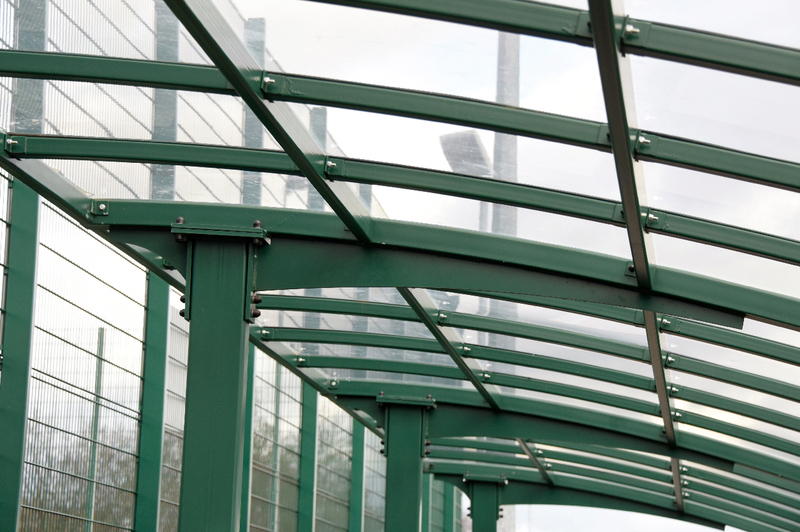 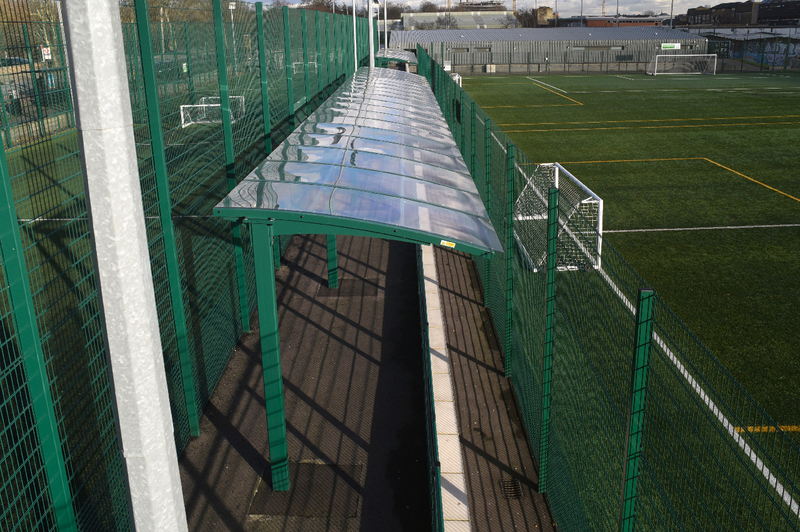 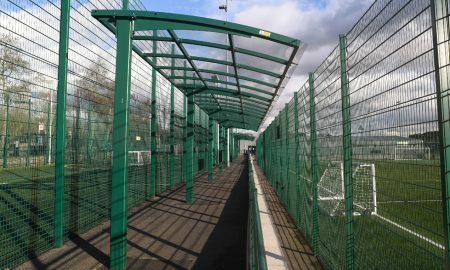 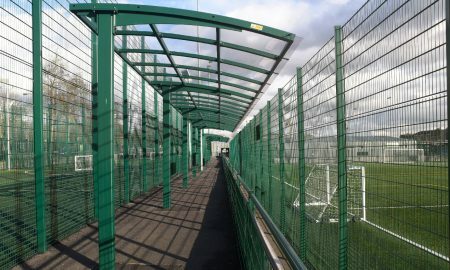 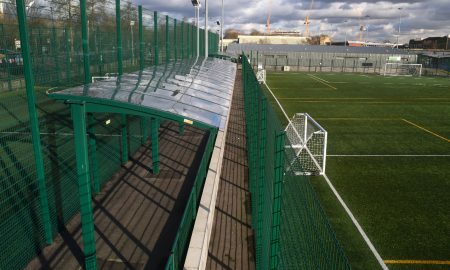 The area for spectator standing was quite limited however Broxap had the ideal solution in their St; John Fisher Canopy which in its modular form allowed a run to be sited within the area required. 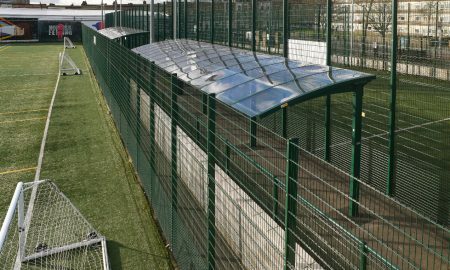 The cantilever shelters give great coverage beneath whilst maintaining unrestricted views to the pitch through the existing fencing. 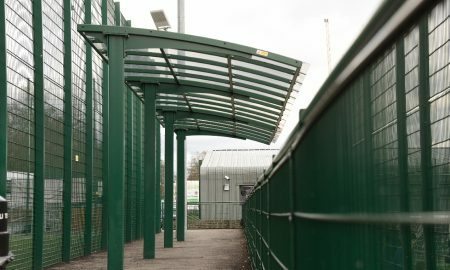 The shelters are polyester powder coated to match the existing colour scheme of the centre and pitches, blending them into the surroundings.